Some hostels are much better than others and if you are sleeping in them often they will be a big part of your travel experience. Decent hostels are like a hub for like-minded individuals, a gathering point for travelers, as well as being your secure house, and your rest and recuperation zone. You are going to want to find the right hostel for you. Social Areas And Features- If hostels are your thing, and you prefer them over a cheap bunkhouse, then you are probably looking to meet new people. A hostel which facilitates this and aims to bring people together, by providing decent social areas and group activities, will provide you with a much better experience, and help you to make friends easily. Other features to look out for include a shared kitchen, so that you can cook your own food and eat with other people, and wifi so you can browse, blog, organize your travel, and contact your family. Location- If you are staying in a new place for a few nights then it is doubtful that you will want to spend several hours of every day traveling to and from the focal point. Ideally you want to find a hostel which is within range of the action, or one which has extremely good transport links to get you around. If you are staying costal then one within running distance of the refreshing sea and golden sand is always nice. If you prefer a little bit of peace when you retire to bed, then you might want one a little bit away from the city centre, or tucked away from the main strips of clubs and bars. Location is very important no matter what your reasons. Number Of Beds Per Room- If you are young, free, and can sleep like a log wherever you are, then it won’t matter to you how many beds are in a dorm. For everyone else you may want to stick to humble 8 or 16 bed dorm rooms. Some hostels can cram 50 or 60 beds into one room. With that many people in one room there is always several snorers, several stop-outs, and a constant stream of toilet users. 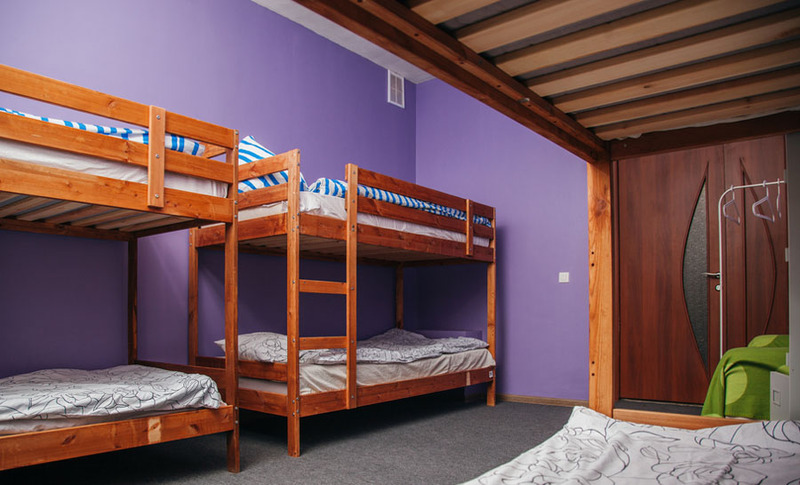 If you really want some quiet some hostels offer private rooms, or small 4 bed rooms. Breakfast- Some hostels include breakfast in the price, while others charge for it, and some do not provide it at all. It is a major bonus if they include it, and a miracle if it is decent, and consists of more than a hard boiled egg and some toast. A decent breakfast will set you up well for a hard day of exploring, and will save you precious pennies eating out in the city every day. Cleanliness And Security- A dirty hostel is not a very pleasant experience. One with clean toilets and beds that are not too suspect is much nicer. Security is also important; you will likely be leaving the majority of your possessions in the hostel. Does it have lockers? Is it hard for non-guests to access? Does it have security guards and watchful staff? If you take into consideration all of these factors then you will likely find a decent hostel that will help you to feel safe, comfy, and surrounded by people who you can interact with and make friends with. There is only one more consideration, and only you can make it; what is your vibe? Some hostels are full-on party havens, some are chilled out hippy-hubs with fires and guitar music, some are run by locals, others by travelers, and some just aim to give you a good nights sleep. Knowing what you want will help you to find the right hostel. Are you on the big session, the big chill, or the big rest?